Video games are great at providing settings that push the boundaries of the imagination. Underwater cities, ruined space stations, hellscapes and heavens. They're good at bringing large cities to life, the hustle and bustle of great metropolises filled with car chases, danger, and excitement. 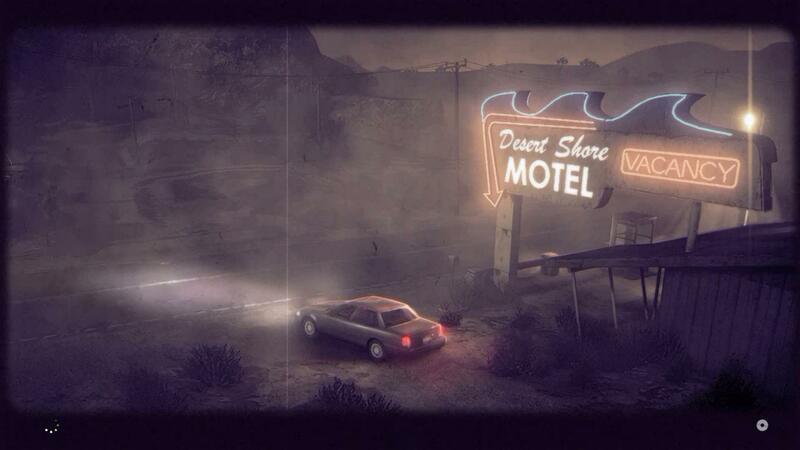 What is rare though, are the games replicating the places I've lived. Small towns that are down and out, left behind by the post-industrial economy. Empty streets and rural roads giving way to spooky forests. The uneasy tension of a small community dealing with problems bigger than them. 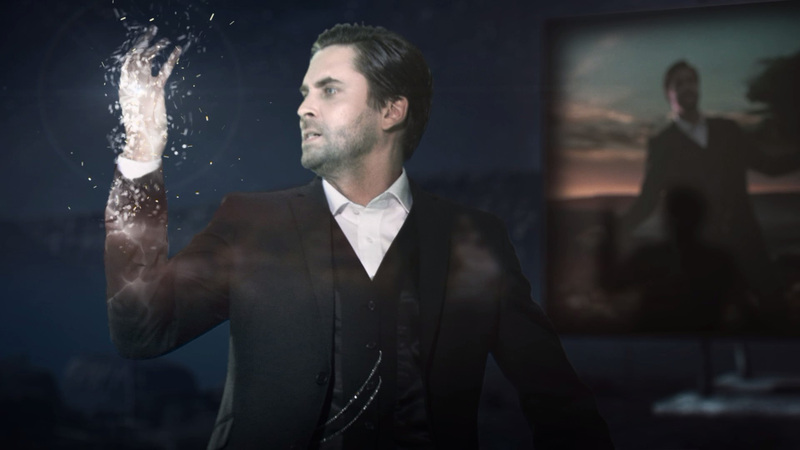 Alan Wake is one of those rare games. From the first moment to the last, I believed in the town of Bright Falls. I felt the same mixture of amusement and pity looking at their Deerfest floats as I do looking at the small, slightly pathetic parades hosted in my hometown. I know I've had coffee at a diner just like the one in Bright Falls; establishments blurring the line between being purposely anachronistic and poorly maintained. And I've read all the same books as Alan seems to have. I'm sure I can't be the only one who felt an immediate connection to the game's setting, a home-sickness for a place I never lived in but definitely know. That familiarity is just one of the reasons I think you should go and get Alan Wake before it's gone for good. Classifying Alan Wake has always been tricky. Despite the spooky trappings, it isn’t quite a horror game. The scares never get too sharp - less piercing terror and more of an uneasy distrust of the shadows. It doesn’t quite commit to being an action game either, it seems slightly uncomfortable with its own shooting mechanics, the shotgun always clumsy in Alan's hands. It has these large, wandering, almost open-world segments where you're free to drive around and explore the back roads of Bright Falls, but progress is tightly confined to specific chapters and set-pieces. Truthfully, it’s a bit of a mess. But it’s a beautiful mess. 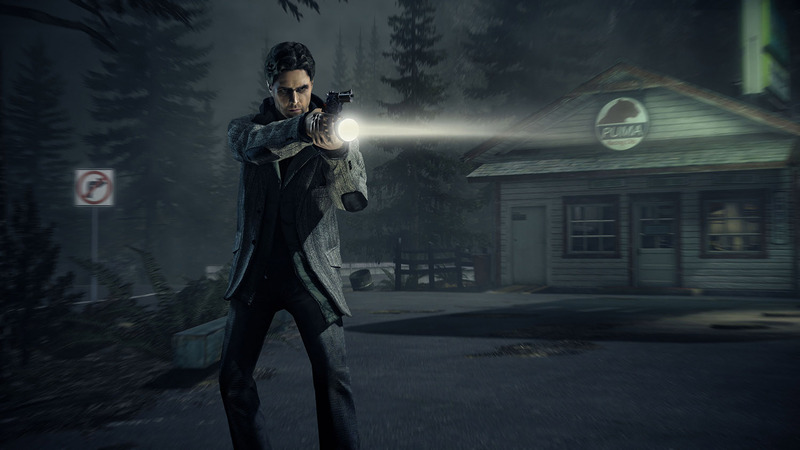 Alan Wake is a game about pushing back the forces of darkness and confronting a cosmic horror. Eventually you find yourself in the middle of a battle with reality warping entities and an insidious evil, but it takes its time to get there. Alan Wake builds slowly. You spend time getting to know Alan (flawed, damaged, and impulsive as he is), his wife Alice, the world they inhabit and the problems facing them. Personal stakes are established before any of the supernatural stuff really takes off. A failing marriage, a creative roadblock, jealousy and resentment. Alan spends the first half of the game more preoccupied with finding his missing wife than really caring about the living shadows and horror novel tropes that seem determined to kill him. It's rare for a game to take the time to ground the world before cranking up the spookiness. When it does get spooky, though, Alan Wake isn't afraid to wear its inspirations on its sleeves. 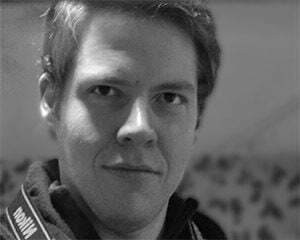 Alan himself is a pastiche of several well-known authors, the most prominent among them being Stephen King (to the extent where King is quoted into the opening narration of the game). Nods are made to everything from Hitchcock's Vertigo to the Evil Dead series. References both open and obscure are made to Twin Peaks (echoing the obsession Remedy had with the show in the Max Payne games), and you can sit and watch full episodes of an in-world analog to the Twilight Zone. It's incredible. And how can we not talk about the reason the game is about to be delisted - the music. Each piece was specifically chosen to evoke a specific mood and atmosphere. I would never have thought a single game would include Poe, Portishead, Barry Adamson, and Nick Cave. These are not Top 40 hits. This is not the track list of a summer blockbuster blaring out Sympathy for the Devil and Ballroom Blitz. These tracks were chosen with care and designed to compliment the narrative. Fun fact - Poe’s Haunted is a sort of companion album to the novel House of Leaves, a story about an aloof creative with a rocky marriage becoming slowly obsessed with an insidious darkness consuming their home. Alan Wake, already a strange beast, also boasts some of the weirdest DLC content of its generation. It has full expansion chapters meant to extend the game and fill in holes in the narrative. The Signal was a shameful misfire with embarrassing product placement and a muddled place in the story. The Writer, on the other hand, is one of the finest expansions ever released, in my opinion. It's a trippy journey through the subconscious, filled with impossible imagery and insane scenes, a major departure from the grounded heart of the setting and a fitting closing chapter for the game. 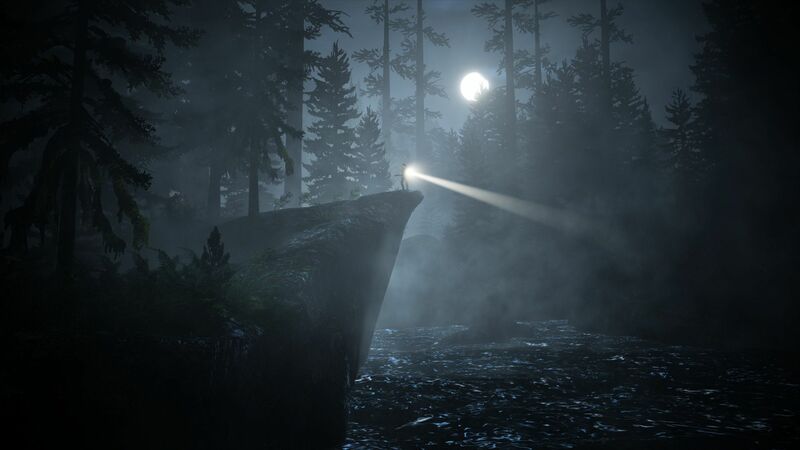 But then Remedy came back for one last swing with Alan Wake's American Nightmare; a wild expansion that changed the entire genre from uneasy horror novel to exploitation grindhouse film. It's more violent, action oriented, and overtly strange than the main game. Reality is coming apart at the seams and a big part of the story involves Alan taking advantage of plot holes in the narrative to re-write the world. Again, wearing it's inspirations on its sleeve, one of the recurring scenes takes place in a drive-in theater, mid-apocalypse. A little on the nose maybe, but I can't help but love it. I’m not going to say Alan Wake is a perfect game. There is a lot of silly stuff in it you can tell was added in at the last second to make it more “gamey” (all those collectible thermoses, ugh). And it's been seven years now, not every element has aged super well. But, it’s so different and unique from a lot of what is out there that it would be a shame to miss it. As big of a fan as I am, when I step back, I can’t believe it even got made in the first place. Look at the support Microsoft gave it throughout its development and even after it launched. It got a huge marketing push. They made a companion live action webseries for the game (shades of Quantum Break ambitions to come). It eventually became a pack-in included with every new Xbox, a grumpy alcoholic Mario for the 360. It's clear Microsoft wanted to make it a big pillar of the Xbox brand, but it never quite took off like they wanted. In the great infinity of possibilities, there is a parallel dimension out there where Halo flopped and Xbox One owners are on their fifth Alan Wake game in the series, lording the exclusive over PS4 owners. If you never played Alan Wake, don't miss it. Grab it while it's on sale and experience this weird, flawed, beautiful game before it's swallowed up by the darkness.